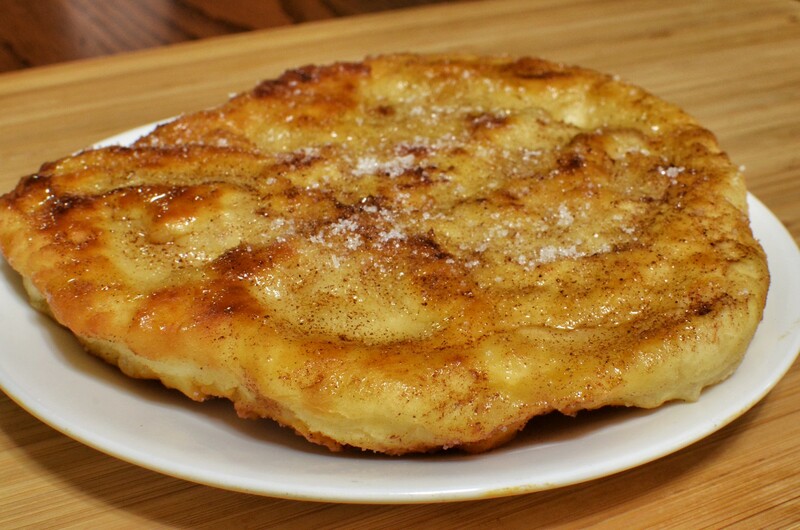 I saw a few notes on the internets somewhere that mentioned fry bread as a dessert. In the interest of Science I have performed an experiment with a honey /cinnamon/sugar not-quite-glaze. Results must be treated as preliminary – they have not been repeated as of yet though my Peers have expressed considerable interest. I expect to publish soon. I cannot, at this time, rule out future maple sugar/syrup variations.